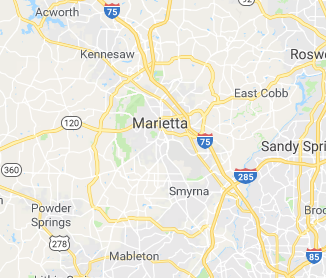 Marietta Autoglass is a small autoglass collision and repair business which has a dedication for service, to give you the best possible value in Auto Glass replacement. Our mission is to ensure that you are provided with the best automotive service money can buy. Our founders determined that the only way to have a successful business is to give our customers 100% satisfaction with our work, and we have lived to embody that principle ever since Marietta Autoglass started business operations. Our mechanics are certified professionals with 5 – 10 years experience in auto repair and maintenance, as well as autoglass installation and other automotive knowledge to help our customers stay safe and satisfied. Your safety and satisfaction is always our goal, which is why our staff has been trained to give the most genuine care and concern for our customers and their vehicles. When you hire our services for installation and repair, we’ve made it our personal mission to be your one-stop, trusted business that can be accountable for the conditions of your windshield and auto glass. We sell, service, and repair vehicles manufactured by General Motors, BMW, Nissan, Chrysler, Ford, Toyota, Honda, Daimler and many more. Marietta Autoglass has been in the auto glass business for well over 10 years now, and with that much experience we pride ourselves to be the premiere provider of automotive services. We guarantee your automobile’s new glass will meet or exceed Georgia Department of Transportation standards because we adhere to stringent installation procedures. Our certified and skilled installers can complete a windshield replacement in less than an hour and we also offer mobile service as well! Call us at 678-201-0927 to schedule an appointment today. All the unwanted and damaged windshields, side door glass, and other parts in your car that require tender loving care will look as good as new once we’re done with the installations, repairs, or replacements. You will be so pleased with our work that you will not consider going anywhere else. Visit us or call us now and get the best automotive service that you deserve. We guarantee parts and labor for the lifetime of the vehicle. References are available upon request.